This is Nunzia from Rome. Here in Rome is really hot, summer is coming! Unfortunately this will be my last post on the blog. I was really glad to be part of the blog staff ! Hope you enjoyed my posts during this year. 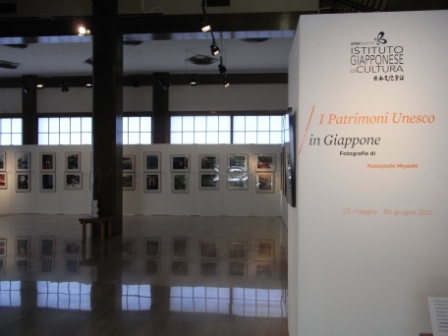 In occasion of my last post, I want to write about the photo exhibition held at the institute “I patrimoni Unesco in Giappone". It is about the Japanese World Heritages. There are 63 pictures of Kazuyoshi Miyoshi, a selection of the work Nihonsekaiisan published in Japan in 1998. As you may know he received in 1985 the award Kimurahei for the work Rakusen. He has been travelling a lot around the world. From Okinawa to Maldive, from Tahiti to Africa. During his trip he took pictures of the best natural paradises of the world. 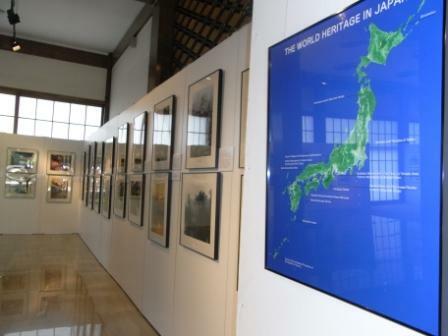 At the moment 14 of the 911 properties of World Heritages are Japanese. 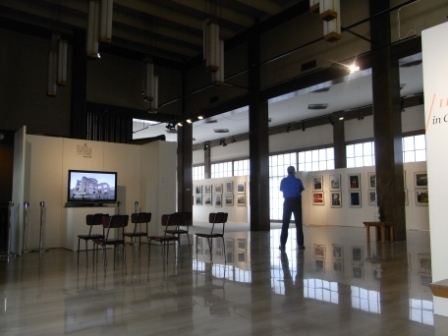 This exhibition conquered the heart of many people that came to visit us, most of the guest complimented to us and really liked it! There are wonderful images of Ninnaji of Kyoto, the mounts of ShirakamiSanchi, Gokayama, the peninsula of Shirekoto, the golden Pavillion of Kyoto..etc. Actually looking at the pictures it seems to traveling through Japan! About the school activity. This week the closing ceremony of the academic year of the Japanese courses will be held. There will be also presented the best students of the Japanese courses that will win an award. Every year the people that want to attend our Japanese language courses are increasing. For this reason we introduce also some summer courses. Since Italian schools are closed in July many young people have free time. Dewa, even if I won’t write no more for the blog, I will follow you as a reader!